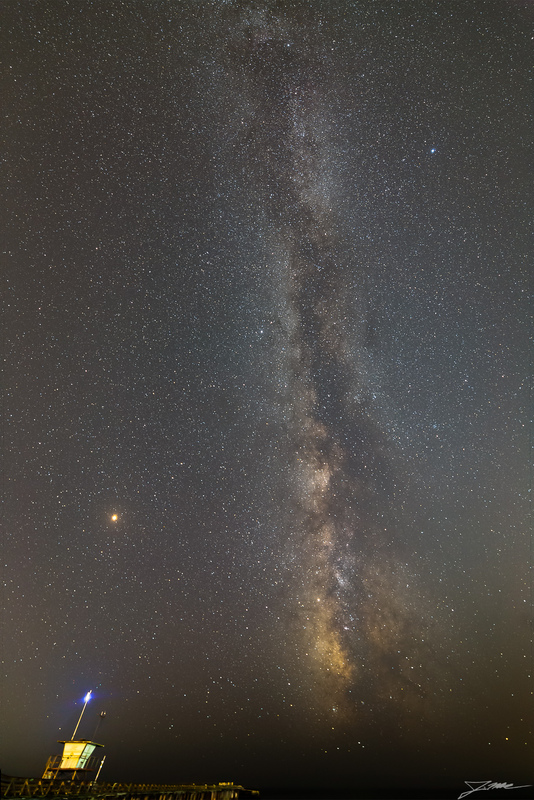 Managed to get down to the shore at Seacliff State Beach at 0330 on Saturday morning and got a sequence of 18 shots of the Milky Way, with better focus than last time. With some improved stacking in Photoshop I got better stars in the corners of the images. Selecting the “Geometric Distortion” lens correction radio button in the Auto-align Layers dialogue produced a much better overall stack, as the extremely wide corners on the 14mm lens have stars moving slightly faster than in the center, leading to good alignment in the middle but drift at the edges. Of course nothing comes for free, since with that lens correction option enabled, the resulting stack is somewhat fisheyed, with a curved horizon at the bottom.